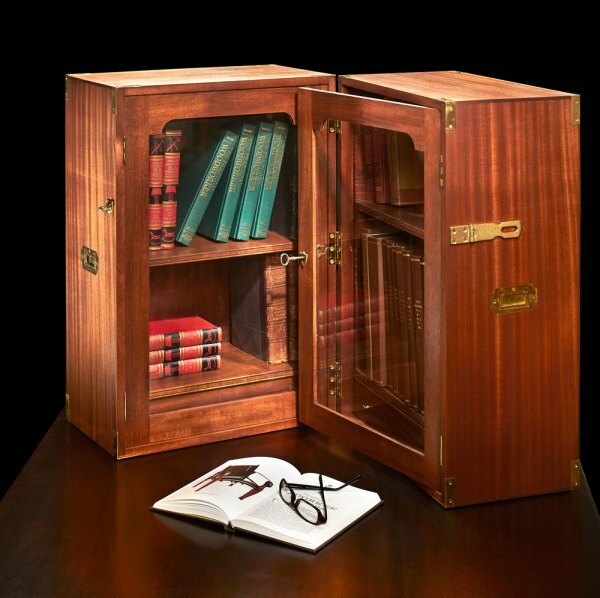 Any budding woodworkers out there, take notice. This is an amazing opportunity. During the last 10 years, my students have gotten younger and younger each year. When I started teaching, most students were retired and well-off. These days, most of my students are younger than me – including many in their late teens and 20s. Many of them make great sacrifices when it comes to taking classes in handwork. Most can barely afford the tuition. Many have young families to support. And a fair number are scraping by with poor tools. I remember what that was like. I took my first woodworking class when I was 24, and the only way I could swing it was because the class was at a publicly funded university. I need to check out this video. Only $20 for the download! I’ve never been to a woodworking tool swap meet. I’d bet that there are quite a few woodworkers who can make the same claim. Unfortunately for me they just aren’t very common in this area. I have been to flea markets and garage sales, and sometimes you can get very lucky and find a few tools at a reasonable price that are in good condition, or in a condition that at the least makes them worth purchasing and saving. But even a more experienced woodworker, one used to owning new or newer tools may not know exactly what to look for, and that, among other reasons, is why I enjoyed The Naked Woodworker DVD. 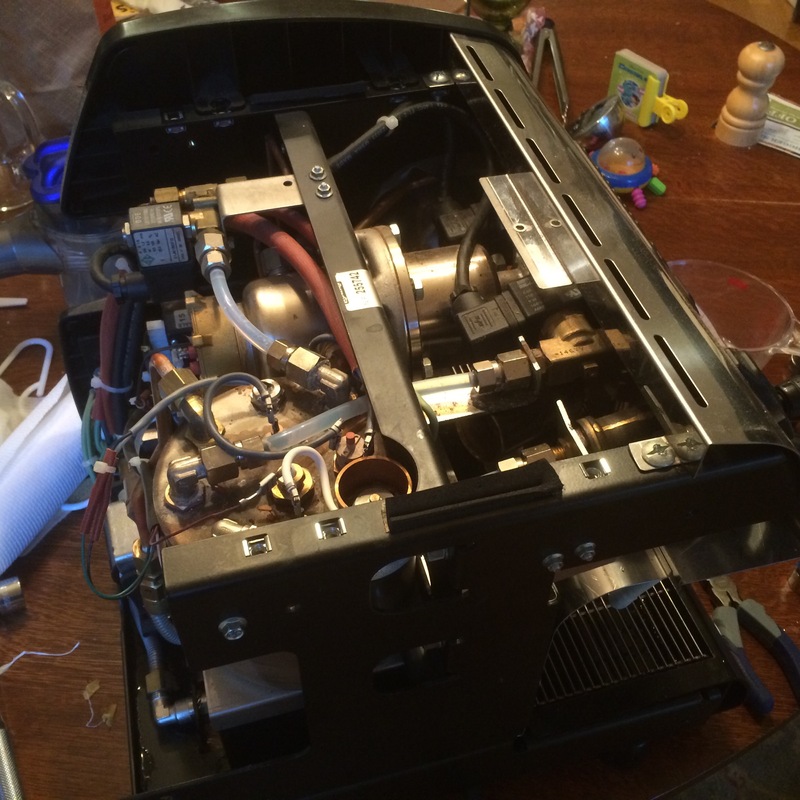 The guts of a La Spaziale Mini Vivaldi. I started getting a small hiss out of the steam boiler. After pulling the lid and inspecting it, it appeared that the seal around the temperature sensor had gone. It was due for a descaling, so I pulled the vac breaker and the drain plug and flushed it with descaler (2 tablespoons citric acid power to 1L of water) a few times. I also pulled the temp probe. Indeed, the teflon tape on the threads of the vac breaker and the temp probe were old and brittle. New teflon tape and we appear to be back in business. Wonderful write up on what it means when someone tells you to “check your privilege.” Best I’ve seen. The basis for a woodworking class. The foundation for a presentation to a woodworking club. 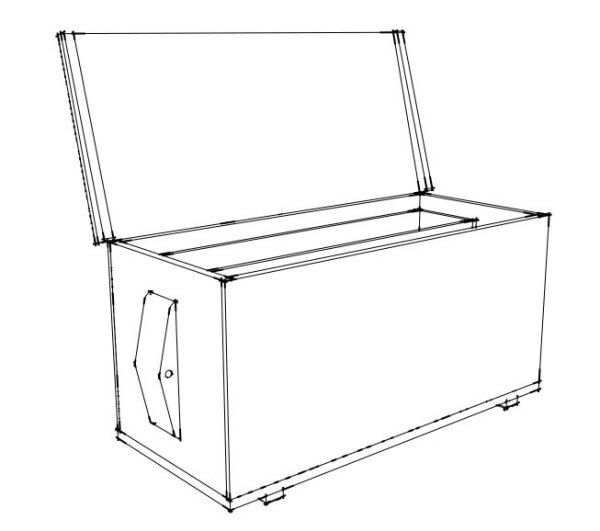 To make a commercial product to sell – as a Roorkee chair, workbench or campaign chest, for example. My answer to these questions is always: absolutely. Everything I publish is free for you to use for classes, in your club or even to make a commercial piece of woodworking to sell. Back to the old Logitech with scissor switches. If anyone wants a lightly used CODE 87-Key MX Clear, lemme know. 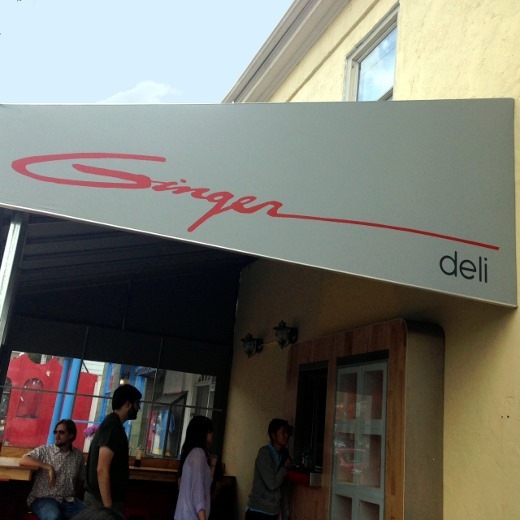 Ginger Deli looks fantastic. Will have to try it next time I’m in town. Alert: I have a new favorite lunch spot! 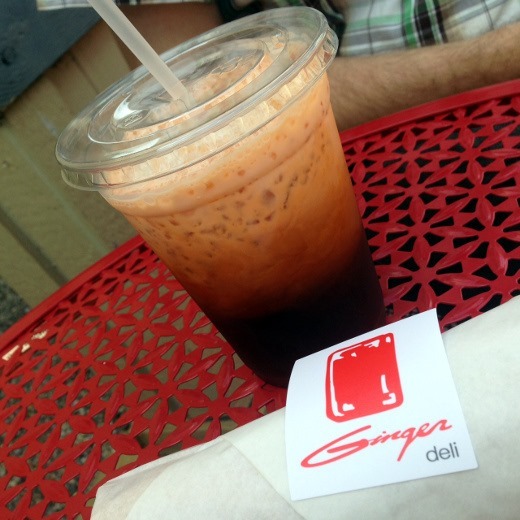 : Ginger Deli. I’ve eaten there, well, once… but I am totally hooked. Must return ASAP! Located near the corner of Liberty and Division Streets in Ann Arbor, Ginger Deli offers a walk-up window where visitors can get their Vietnamese cuisine fix. Grab yourself a take-away lunch, or if you’re lucky (we were! ), snag one of the few outdoor seats that are available (enough for around a dozen people). 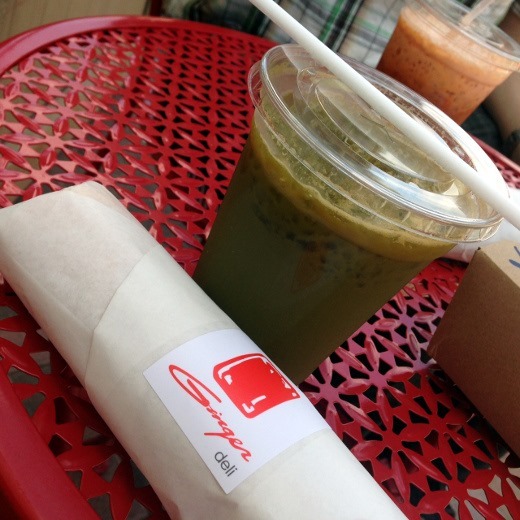 Ginger Deli also offers refreshing and nutritious fresh juice – I enjoyed this kale and carrot blend. 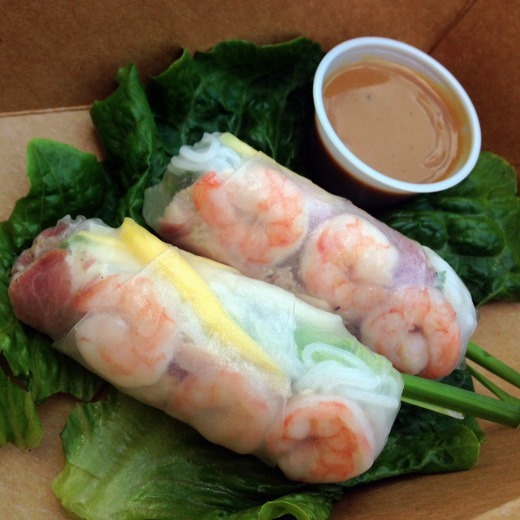 Fresh Summer Rolls, with prosciutto, shrimp, and peanut dipping sauce. These were incredibly tasty! Aren’t they gorgeous? Best Banh Mi in Ann Arbor, y’all!